Evil Dead II is a genuine masterpiece, as grotesque as it is funny. These two sides of the movie have never felt like a mismatch—as America’s Funniest Home Videos, clear precursor to our Golden Age Of Television, shows, grievous injuries are hilarious (no matter what anyone says). Add ghosts and demons to a grainy VHS compilation of old people wiping out and the result would be a decent, low-rent approximation of Evil Dead II’s slapstick creepshow. 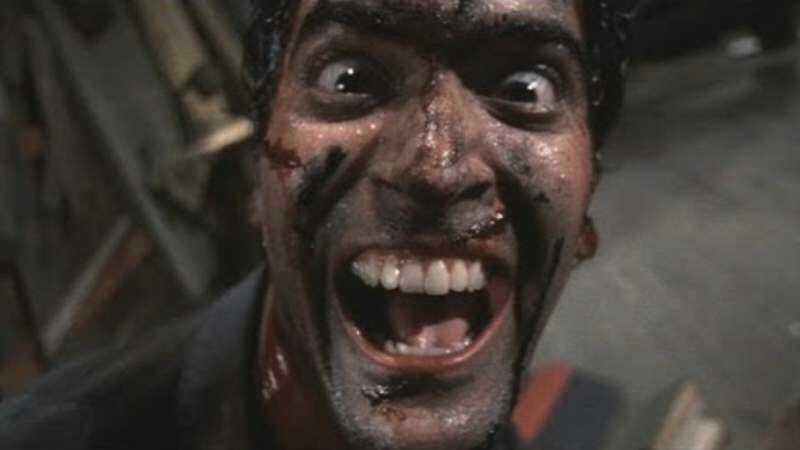 A video essay by Patrick (H) Willems takes a more detailed look at the apparent tension between scares and laughs, centering on Sam Raimi’s Evil Dead II to analyze what makes his horror comedies work so well. The video’s premise seems a little precarious since horror and comedy have probably never seemed like an incongruous match to anyone but genre purists, but Willems’ conclusion ends up finding its way to this point. Most importantly, it places a lot of emphasis on Raimi’s love of exaggeration, which is helpful because it’s impossible to discuss his movies without talking about the fever pitch at which they operate. Ash and a bunch of demonically possessed decorations laughing themselves halfway to death works not because of a carefully constructed setup, but because the absurdity of sheer terror and hilarity blend into a unified whole once they’ve reached the same, mind-numbing peak. The only thing funnier than a man squat-dancing in tandem with a lamp is that same man losing control of his faculties because his brain can’t handle the fear any longer.